Home / Geek Life / I Went to Mini-Mini Con!! I Went to Mini-Mini Con!! My goodness! Life has been extra busy lately! I’m sorry I haven’t posted much lately, but the world is not even trying to slow down for me. At least now I can tell you about my time at Mini-Mini Con!! 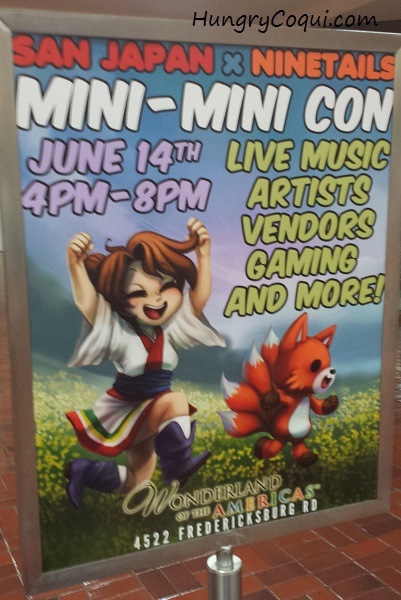 Mini-Mini Con is a one-day event (ok, really 4 hours) sponsored by San Japan (an annual comicon) and Nine Tails (a local geek shop). Lots of local vendors come out, and I guess the best way to describe it is a “comicon preview”. Patrons and their kids were in cosplay, a live DJ played dance remixes of our favorite theme songs, and of course there was a game room set up. 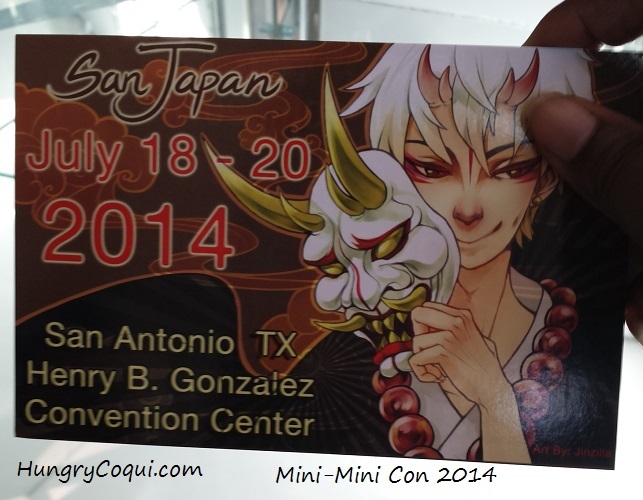 I was able to pre-register for San Japan: Samurai 7, which is the full-size comicon taking place next month. YESSSS!!! My only regret was that we couldn’t hang out long, so I didn’t get to take many pictures. I was there long enough to get an awesome coupon for Game Over Videogames, however, which I used to spoil my husband for Father’s Day. Now admire my sweet new hair clip from Bonus Life Jewelry! Are you coming to San-Japan? I just got the bonus life!! Must… make… nintendo pillows… now!